According to the SBA, over 80% of businesses lease a portion of their equipment. 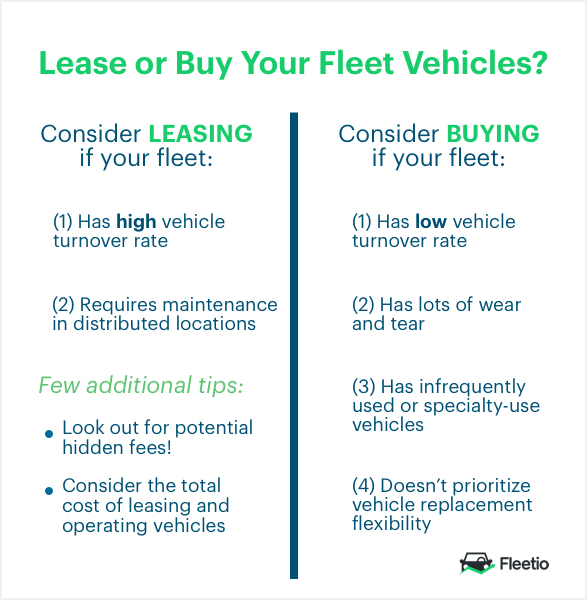 Along with providing significant tax advantages, leasing vehicles and equipment can help your business maintain cash reserves, increase cash flow, and preserve bank lines of credit. Leasing also helps businesses grow without significant out-of-pocket expenses. 1. You can write off 100% of your lease payments from your business corporate income; the IRS does not consider operating leases or TRAC leases to be a purchase. This write off can surpass the tax advantages of bonus depreciation and accelerated depreciation. 2. Speed - bank loans seem to take forever and require considerable information. Our business vehicle and equipment leasing uses a simple underwriting process, and most approvals come back in 24 hours, with approval rates of over 90%.